A postcard from Germany, sent by Gerald G for Vacation RR in postcrossing forum. 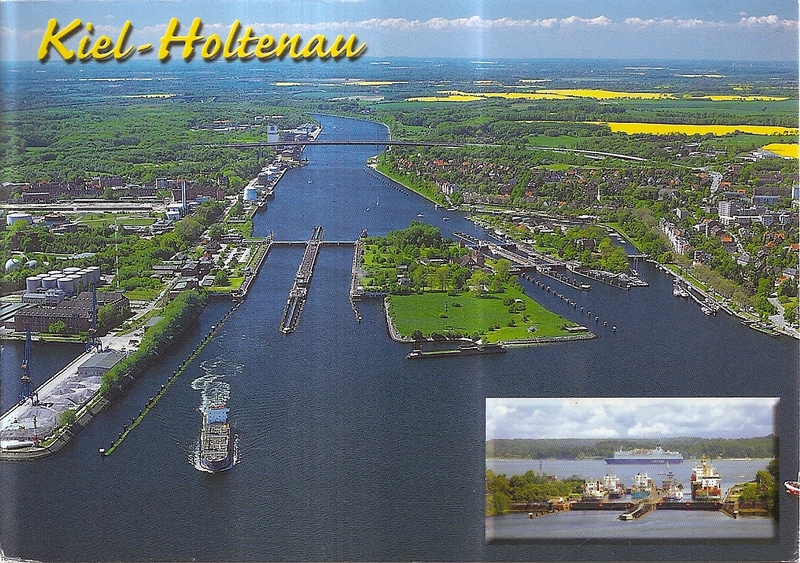 The postcard shows a view of Kiel Canal that links the North Sea and the Baltic Sea north of Germany. At the back, Gerald affixed one stamp. 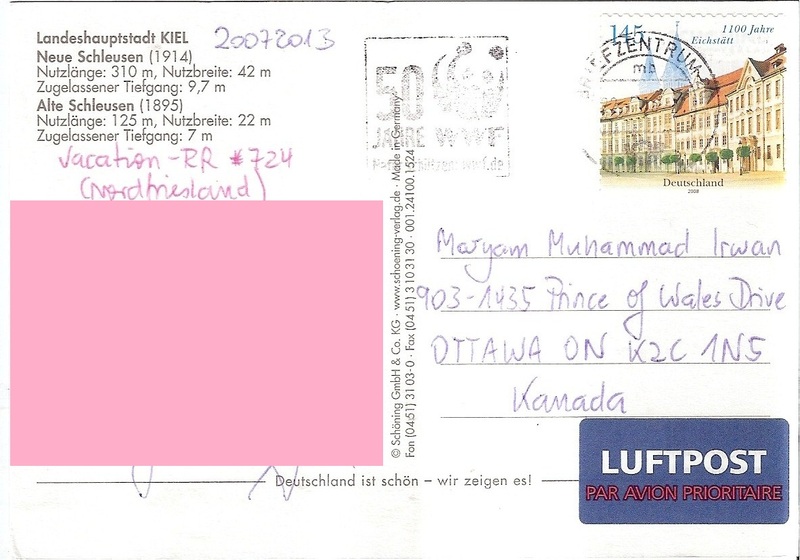 The postmark date is 22 Juy 2013. Thanks a lot Gerald!